This package includes all the "must do" activities in Victoria Falls. Experience the popular Flight of Angels, a spectacular sunset cruise on the Zambezi River, and of course, a guided tour of the magnificent Victoria Falls themselves. We suggest that you do all these activities in 1 day to get the most out of your experience. What a fantastic experience, from booking to the actual activities, everything was smoothe. The team was so helpful as we missed our flight to Victoria Falls and they were able to move around our bookings which just made the experience even better. 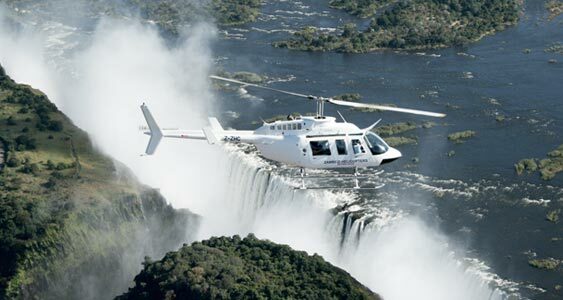 This is a must-do for anyone visiting the falls as the view from the helicopter is breathtaking. The sunset cruise was the perfect way to end the day. We were able to see hippo, crocodile, giraffe and various birds. We also met and enjoyed our time with people from various countries – a very enjoyable experience. Better food for vegetarians would be great.